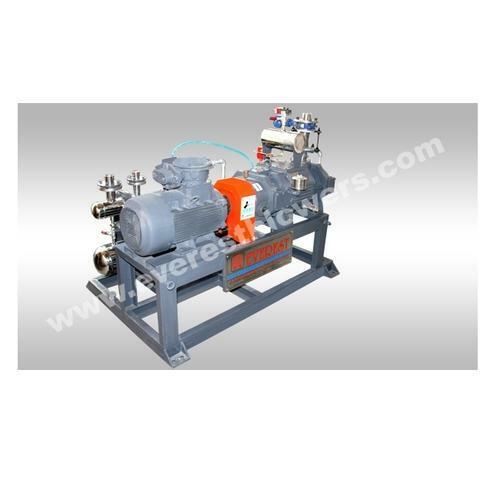 We are a leading Manufacturer of Everest Dry Screw Vacuum Pump from New Delhi, India. Dry Screw Vacuum Pumps for Varlous Applications : Everest Blower Systems Pvt. Ltd. manufactures high-quality vacuum systems for various needs of multiple industries. Just like Rotary Vane Vacuum Pumps, these are among the newest addition to the pumping industry. As the name suggests, dry screw vacuum pumps work on a.no oil, no water principle that makes them extremely reliable for environment-friendly applications. The pumping capacity of the blower ranges from 12om/hour to 3,00om/hour depending on the model. These products are available in several models and configurations to match a wide variety of requirements. Further, these pumps can be used in combination with other vacuum machines such as vacuum boosters to meet specific and precise needs.